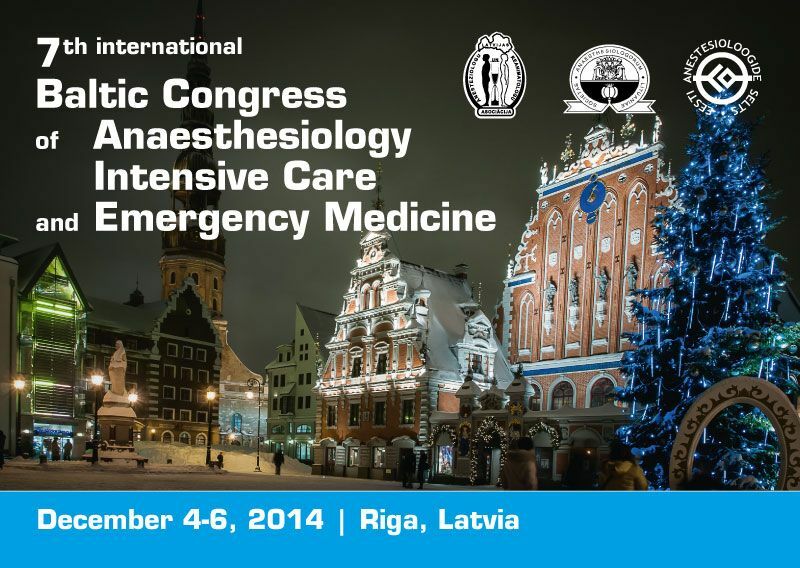 Be part of the 7th Baltic International Congress Anaesthesiology, Intensive Care and Emergenc Medicine! With unique sessions and workshops, the scientific programme of the Baltic Congress will enhance your practical and theroretical knowledge in Anaesthesia and Intensive Care! Congress is organised in a close collaboration with ESA, ESRA, SSAI, WFSA, Lithuanian and Estonian professional societies.